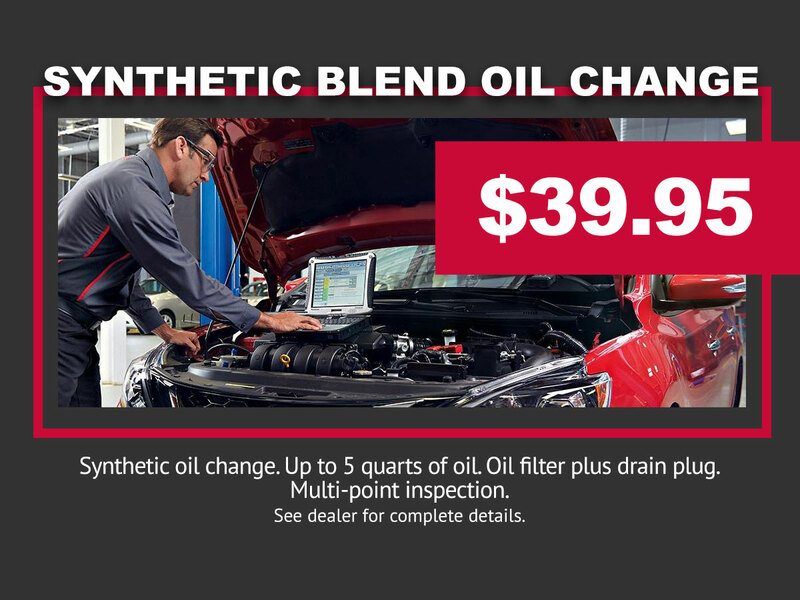 Includes: Synthetic oil change. Up to 5 quarts of oil. Oil filter plus drain plug. Multi-point inspection.